I was born in Tokyo, Japan, and consider myself a proud Japanese citizen. I love my country, my culture, my heritage, my people. While I now live in the United States, I will always consider Japan to be my home. I am committed to doing whatever I can to contribute to a real lasting peace in my homeland, because peace is something that we all want, we all desire, and we all deserve. But gross misunderstandings of “peace” can be harmful and dangerous. Opponents of the construction of this memorial have recently made statements suggesting that having discussion about Japan’s ugly history, acknowledging the harm committed by the imperial army, and giving voice to the victims of this atrocity would somehow “disrupt” peace and harmony. For this I want to turn to one of the world’s great peacemakers, Dr. Martin Luther King Jr., who taught us that peace is not merely the absence of tension, but the presence of justice. And that is the gross and dangerous misunderstanding of peace. Dr. King called this a “negative peace,” a false peace that “all men of goodwill hate.” It is a peace that comes at the expense of justice. Having conversations about, and acknowledging the harm committed by us as individuals or as nations is an uncomfortable process. It is never easy for perpetrators to own our actions or for victims to relive their pain. But until we do, until issues of harm and injustice can be put on the table and discussed openly, we cannot heal and reconcile from that pain and we cannot move towards justice. And without justice, we cannot create “positive peace,” the type of real, sustainable and authentic peace that Dr. King fought for. If Autherine Lucy never challenged segregation, the school would never have experienced that tension. If Dr. King never spoke up, the streets would have been quiet. If people never speak out and challenged injustice, things would be calm. 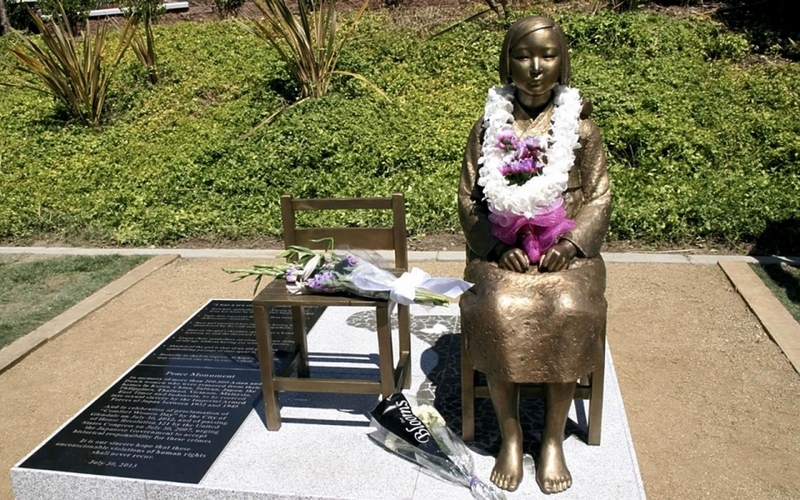 If we simply forgot about the history of “comfort women,” things may be easier because it would not require us to have challenging discussions about our difficult history. But that sort of creative tension is what builds real peace. Bringing up such a difficult history will inevitability create tension. It will disturb peace. But it is the type of false, negative peace that needs to be disturbed in order for us to achieve real peace. We need to disturb the negative peace that hides from our ugly history. We need to disturb the complacency that ignores those who never received justice. As a person who loves my country, I want to see us reconcile with our past. Not the selective history that doesn’t acknowledge the harm that we committed, but the full history of all of who we are. Hard as it may be, that is the only way forward, the only way to have real peace, the only way to live in real harmony with our neighbors.